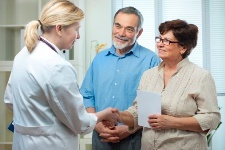 A new study out of the famous Mayo Clinic has revealed the main reasons we visit our doctors. It turns out that we mainly head for help due to skin issues, joint disorders, and back pain. It is always important for a nation to keep tabs on the most common health complaints. We already knew that chronic diseases account for the greatest impact on the system by adults of middle and older ages. But the new study sought to understand other types of conditions that could be quietly affecting huge swaths of Americans. In a bit of a surprise, the most prevalent conditions were not chronic ones that tend to strike because of aging (like heart disease and diabetes), but rather conditions that affect men and women equally, and people of any age. For example, nearly half of all people in the study had skin disorders such as acne, cysts, or dermatitis in the five-year period. Why do these diagnoses result in so many doctors’ visits? Could we as patients be receiving care in alternative ways? The study opens up plenty of questions that will help doctors deliver care more efficiently. For our purposes here, Doctors Health Press will continue to strive and report on the key conditions that affect most Americans. If you are interested in anything on the above list, keep tabs on our emerging articles. St. Sauver, J., et al., “Why Patients Visit Their Doctors: Assessing the Most Prevalent Conditions in a Defined American Population,” Mayo Clinic Proceedings, January 2013; 88: 56-67.